Electrical Distribution Systems | Zero Zone Electrical Distribution Systems – Zero Zone, Inc. 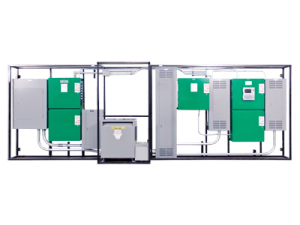 Zero Zone Electrical Distribution Systems save time and installation costs by providing a factory-assembled system for your complete power needs. 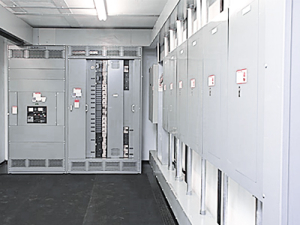 Our Electrical Distribution Systems incorporate all of the power needed for a project in a single convenient location and can be configured as a Power Wall or an Electrical Distribution Center. Zero Zone Power Walls speed up construction and save on installation time and costs. 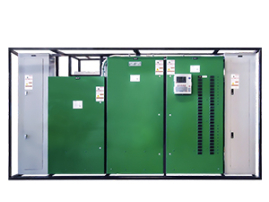 Our Power Walls are designed to distribute power evenly and efficiently to match customer-specific load requirements. Conduit, raceway, and panel enclosures are assembled to provide ease of access and serviceability, reducing installation and maintenance costs. All system components, such as circuit breakers, contactors, and controls, are conveniently labeled to simplify an otherwise complex system. The Electrical Distribution Center (EDC) provides a durable enclosure that will encompass the main panel switch boards, transformers, power panels, and controls for refrigeration, facility lighting, parking lot lights, HVAC, and other site-specific equipment. The EDC can also include power monitoring systems to gain a better understanding of your power usage by department. 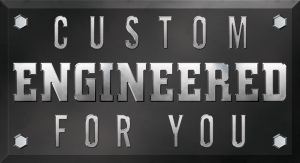 Customers also have complete customization of their Electrical Distribution System based on their exact needs. Zero Zone Electrical Distribution Systems can incorporate a generator for back-up power. This will allow for continuous operations during a power outage.